As much as I love photographing weddings, I can probably say my favorite thing to photograph are engagement photos. 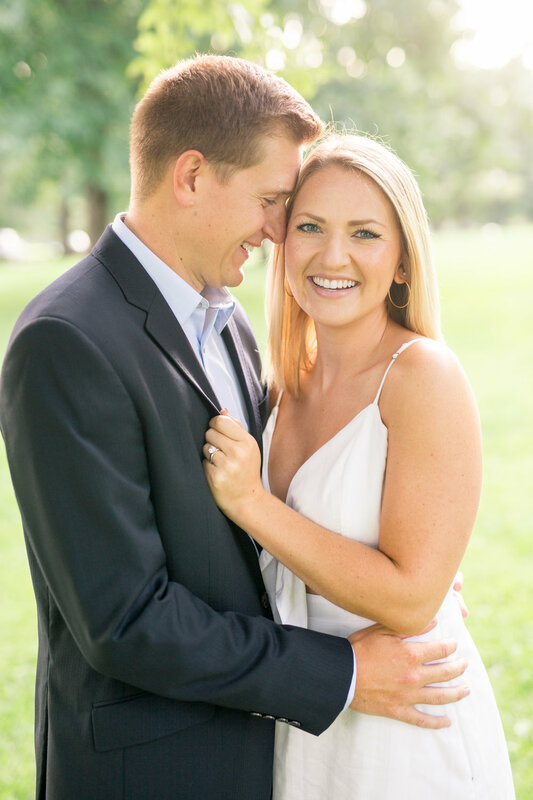 These two were such naturals in front of the camera and really made my job easy! It doesn't hurt that we are already good friends! Although you can't go wrong with a little greenery at a park, I LOVE going to unique locations for engagement sessions. After running around Goodale Park, we walked through the Short North, over to Oddfellows. This is one of Ally & Kevin's favorite bars in the area, so it was the perfect chance to stop in for a cold IPA and snag some cute photos. We spent the rest of the night chasing the sunlight and dodging the Short North construction. We made our way back to Goodale Park for a few last minute sunset photos! I am so excited to be traveling to Pittsburgh next year for their wedding, in one of my favorites cities, for one of my favorite couples! Check out some sneak peaks below from their engagement session!